I gave it to my mother for a birthday, she had previously shown it to Thomann from the staff and was enthusiastic about it. She looks really nice, my parents put her on the living room cabinet on the accompanying pillow. A few times a day, my mother lets the bowl sound, she finds the sound soothing. Thanks to the friendly Thomann staff we also know how the sound can be pulled even longer, namely by driving with the accompanying "clapper" after the sound of the sound along the edge of the shell. This makes the sound even fuller and it simply sounds magical. I can recommend the Thomann sound cups only to anyone looking for something that sounds nice and looks good. It is best if you can show the different shells on the spot, since the sound is different from shell to shell, also with the same models. In this product you can see very special nuances, like a deep, tuned and round sound. 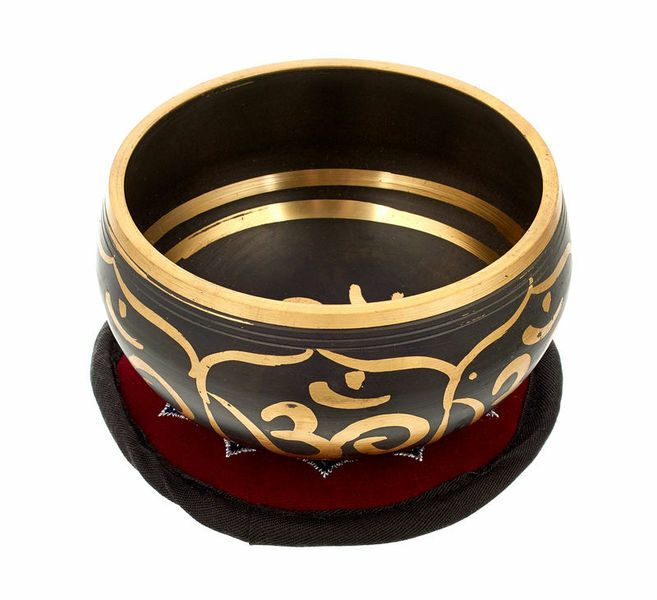 In addition, its aesthetics is quite good with Tibetan motifs, which help to set itself in the sphere of meditation. On the contrary, the mace that it includes is not robust enough for a professional, so I would recommend to the buyer, acquire another maza better. Whenever it is given a professional use. For sporadic or amateur uses, the mace is not bad. Another aspect to consider is the cushion, it has Tibetan motifs, but it lacks softness and more cushioning. Its sound is greatly enhanced when it rests on the hand, giving great waves and vibrations. In general, it is an ideal instrument for the beginner and for the professional, you just have to change clubs for the most intense use. ID: 387849 © 1996–2019 Thomann GmbH Thomann loves you, because you rock!